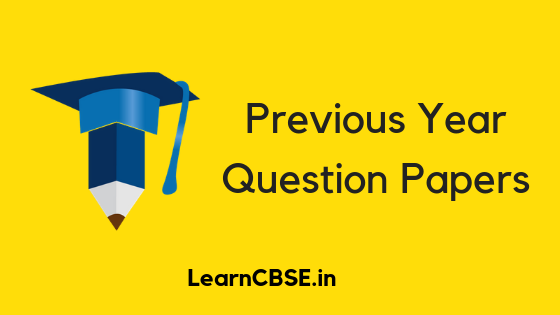 Previous Year Question Paper: With CBSE Class 10 and Class 12 board exams knocking at the door, students must be wondering how to go about with their board exam preparation at this last moment. While the revision of whole syllabus is a must at this stage, students must also solve CBSE Board previous year question papers. This is important for students to get a feel of how the actual exam will be. In this article, we will provide you with CBSE Class 10 and Class 12 previous year papers for all subjects – English, Hindi, Social Science, Science, and Maths. Read on to find out. It will help students get an idea about nature and exam pattern of the board exam. Students will be aware of the difficulty level of the questions asked in the board exam. Taking CBSE previous year papers Class 10 and Class 12 will help students build concentration and stamina to sit for the full time of the exam. It helps students to know their conceptual weaknesses which they can work on and improve before the actual exam. So, you must solve Class 10 & 12 previous year question papers of CBSE and take your CBSE Class 10 and class 12 preparation to the next level.